CA passed away on February 4, 2017, born January 8, 1916. He is preceded in death by his wife, Eloisa H. Barajas, they were married 76 years. He is now back with the love of his life - he longed so much to be with her again. Salomon "Tata" Barajas is survived by his 8 children, Angel (Enedina), Maria Elena, Margarita (Eustolio), Pedro (Graciela), Juana (Remberto), Evaristo (Guillermina), Jose Luis, and Ricardo (Anna). He is also survived by 18 Grandchildren, 27 Great Grandchildren and 1 Great Great Grandchild. We will always have you in our hearts Tata. Rosary will be held on Monday, February 13, 2017 at 7:30 p.m. at St. Francis of Assisi Church in Fillmore, CA. Funeral service will be held Tuesday, February 14, 2017 at 10:00 a.m.
at St. Francis of Assisi Church in Fillmore, CA. 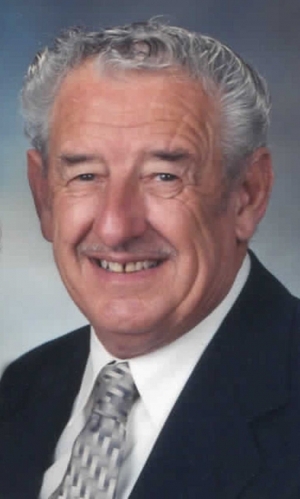 Burial to follow at Santa Clara Mortuary, 2370 N. "H"
Charles “Jerry” Morford, 82, of Fillmore, California, passed away on Thursday, February 2nd, with family by his side. He is preceded by Carol “CJ” Morford (d. 1997), wife of 47 years, son, Michial Morford (d. 2016), and wife Roberta Roush-Morford, (d. 2014) wife of 16 years. He was beloved father to Michial (d 2014), Ken, and Skip; step-father to David, Donna, Diana; Father-in-law to Betty, Christine, Tami, and Mike; grandfather and great-grandfather to many and Doxie dad to his beloved Heidi and Ginger. Jerry Morford was a friend to all whom he loved. Jerry Morford was born in Carnation, Washington, April 25, 1934, to the late Charles O. (Chuck) and Addie (Boyce) Morford. Jerry graduated from Tolt Carnation High School, WA in 1952. He was a local family business man who served Fillmore and surrounding communities for over 30 years. He was also a passionate classic car enthusiast, most recently a proud member of the Fillmore Faders. Services to be held on March 4, 2017 at Skillen-Carroll Mortuary in Fillmore, California at 11am. In lieu of flowers, the family requests donations to your favorite charity in his name. 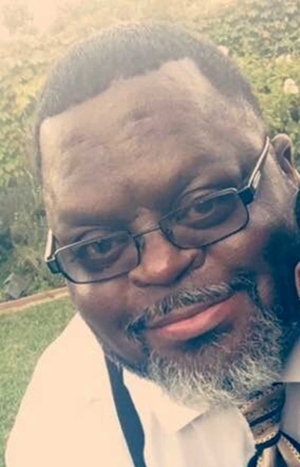 Troy "Hunk" Anthony Eskridge, 48 of New Orleans, La ; Fillmore, CA passed away Tuesday January 17, 2017. Visitation will be held at Skillin-Carrol Mortuary 600 Central Ave Fillmore, Ca 93015 February 1, 2017 1PM-3PM. Troy was born in New Orleans La but relocated to Fillmore due to Hurricane Katrina in 2005. He was accompanied by his son Troy Hayes, 25 and daughter Kayla Shepard, 20. One thing Troy loved to do was coach. He was the Assistant Coach for Fillmore High School 2006-2009 Football team and Assistant / Head Coach for the 2008-2010 baseball team. He made sure that every student who came cross his path he left a remark with his words. Giving a helping hand was something he would do just out of the kindness of his heart. On his down time he would spice up some recipes in the kitchen. Even though Troy was a great cook he was an even better father. Please come out and join us for a time of gathering to celebrate his life. A special thanks to everyone for their loving care and support. On the morning of December 18, surrounded by loved ones, Tomboy, (Phillip Tom Rangel Jr.), passed away peacefully at the age of 66. 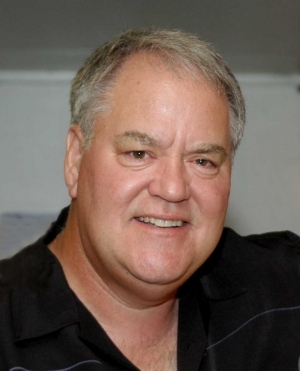 He was born on November 5, 1950 in Santa Paula. He was a life long resident of Piru, the town he loved and cherished, always surrounded by his family and pet dogs. He attended Piru School and graduated from Fillmore High School in 1969. He was an avid fisherman, hunter, golfer, and ultimate Dodger Fan. He also enjoyed playing pool, cards, and visiting casinos. He worked as a truck driver for Swift, and as machine technician for Technicolor. Tomboy enjoyed sharing his love of the outdoors with his family and friends, boating on Lake Piru, and camping in Bishop. He was very generous with his time, and was always there when you needed a helping hand. In his later years he often worked with his hands carving gourds, and tinkering. Tomboy’s laughter, generosity, and companionship will be greatly missed by the community of Piru, and his dogs Lady and Chata. We will miss hearing his family stories and reminiscing about childhood. He is survived by his wife and best friend of more than 20 years, Sally Rangel, his step-­-children Tammy, Rochelle(Lalo), and Fred, his grandchildren; Ignacio, Tatiana, and Leilani. He is also survived by his sister Rose(Rudy), and many nieces and nephews. He is preceded in death by his parents Elisa and Phillip Tom Rangel of Piru, and his sister Linda King. A Celebration of Life will be held Saturday, January 7, 2017 at 12:00pm at La Promesa de Jesus, 461 Central Ave. Fillmore, CA. In lieu of donating flowers, donations may be made to the family or Graceful Palms Hospice & Palliative Care Corp. 40015 Sierra Hwy. Palmdale, CA 93550, they helped make his final days comfortable. A special Thank you to the doctors at Providence St. Joseph Hospital, Cardiologist, Dr. Ladenheim, and the Joseph P. Reardon Funeral Home. It’s with great sadness and a heavy heart to announce the passing of Gabriel B. Sanchez. Gabe was born in Fillmore on March 24, 1930 and passed peacefully in his home on December 6th surrounded by those he loved. He was the last-living sibling of 8. It was his time to go home with the Lord and reunite with his son, Booty and other loved ones. Sports were his passion. He played football, basketball and baseball and was a proud, 1949 graduate of FHS. Gabe worked as a Foreman for Fillmore Piru Citrus after graduating then in 1950, he married Dora, the love of his life. They celebrated 67 years of marriage this year. Together, they were blessed with 3 children: DiDi, Gabriel II (Booty) and Maxie. God also blessed them with 10 grandchildren and 18 great-grandchildren. Faith and family were most important to him. He was a devoted family man. He was our Chief who guided and protected his tribe. Grandpa Gabe left a legacy like no other. Visitation: Dec. 18th 5pm-9pm. Rosary 7pm@the Perez Family Funeral Home in Camarillo. Mass: Dec. 19th 10am@Saint Francis of Assisi in Fillmore with burial to follow at Bardsdale Cemetery. Stacy Ann Pennington was born on May 7th, 1963. She passed away in her home at the age of 53, on November 27th, 2016 due to a series of health issues. She was born and raised in Piru and graduated from Fillmore High School with the class of ‘81. She lived in Fillmore a few years after graduation then moved to a couple of different locations in Southern California before settling in Tehachapi CA. Stacy traveled and vacationed, relishing life, people and places. She was a fun loving, free spirit who had a great time where ever she went. She will best be remembered for her kind heart, sweet smile, infectious laugh & funny sense of humor. Stacy’s family, along with her dear friend, cherished the time they got to spend with her on this last Thanksgiving. She was happy & cheerful, enjoying conversation around the table with family. Later that night and into the next day she spent quality time with her long time friend Kathleen Edwards. Stacy shared her enthusiasm in getting back home that weekend to put up her Christmas decorations as she enjoyed the Thanksgiving dinner leftovers and watched the first snow fall of the season in Tehachapi. Stacy is survived by her father Norris M Pennington and his wife Flo, Sisters Katy Petuoglu & Missy Cervantez, brothers-in-law John Petuoglu & Joe Cervantez Jr, niece Honor Lauren Cervantez and nephews, Dustin Cervantez, Scott Petuoglu & Chad Petuoglu. She is preceded in death by her mother Susie Warring/Pennington, longtime boyfriend Raymond (Chili) Beserra, her Warring and Pennington grandparents along with many aunts, uncles and cousins. Services for Stacy will not be held at this time but the family would like to suggest honoring her by donating to their favorite charity in her name, Stacy Ann Pennington. Janet Addison Cox died peacefully on November 22, 2016. She was 93 years old. 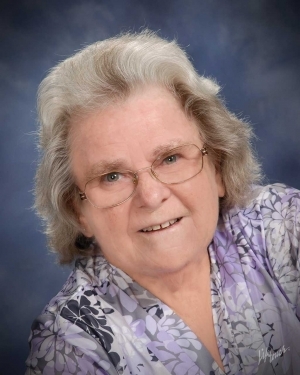 To describe her life, family members and her large circle of close friends would certainly say she was a happy and friendly lady with a fine family and that she always enjoyed life to the fullest. Her husband, Donald Cox was always the center of her life. By her faith in God she will move on to life everlasting and now be with her loving husband, Don. This alone gives us, her family and friends, a feeling of peace. Her family was among the original settlers in Fillmore. Her grandfather B.F. Deardorff arrived in Fillmore in 1892. Her mother, Stella Deardorff married R. A Fremlin in 1907. Janet was the youngest of five children, and was born in Fillmore on November 7, 1923. Her brothers and sisters were Vera Fremlin, Guy Fremlin, Lois Fremlin Moore, and Ray Fremlin. After graduating from Fillmore High School , she attended University of Southern California, then Whittier College. In 1943 Janet and Donald Cox married, and moved with the US Navy to Key West, Florida. After World War II, they returned to Fillmore, where they raised two boys: Bob and Gary. Janet was an active and capable mother who had no problem keeping up with the family every summer on weeks long pack trips to the High Sierra back country. Optimistic and independent, she accomplished most everything she set her mind to. Among her favorite past times were the game of golf, gardening and traveling. 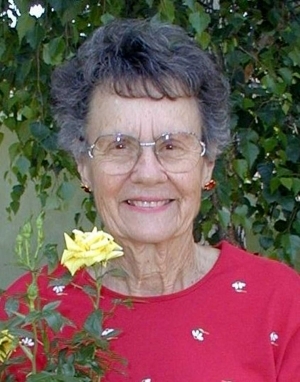 Throughout mid-life she won many golf tournaments, traveled extensively throughout the UK and the US, and enjoyed tending to her cherished roses and colorful yard. She loved attending the Methodist Church and socializing with its members. As she became older, her church friends were so helpful in assisting her in getting to and from church every Sunday. When Janet was no longer able to live alone, she transitioned to assisted living at Wood Glen Hall in Santa Barbara where she reunited with her best friend Sally Noel. Her final home was back in Ventura at Treacy Villa where she was treated with love and respect from all the wonderful staff. 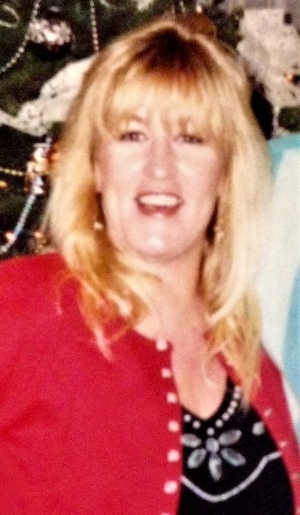 She is survived by her oldest son Bob and his wife Diana and their two sons, Charlie and Stuart as well as her younger son Gary, his wife Crystal and their three children Summer, John and Seth. She always enjoyed watching the endless energy of her ten great grand children. Graveside services to celebrate Janet’s life will be held at Bardsdale Cemetery on December 16, 2pm. 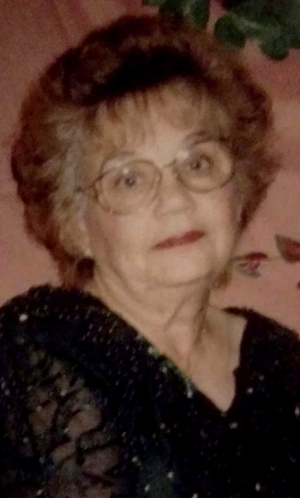 Dolores Consuelo Vega Maynard age 75 passed away peacefully on December 10, 2016 while visiting in Bakersfield, CA. after struggling with many illnesses which lead to her passing. Dolores was born in her home in Piru, CA. on April 9, 1941 She was the daughter to Benjamin Vega and Angelina Alcozar. Dolores loved spending most of her time with her family and praying in church. In 1957 Dolores married the love of her life Travis Wolford Maynard and lived in Fillmore, CA, where they raised six of there children. Dolores worked at Bermint and dedicated most of her life raising her children and grandchildren. Dolores was a member of the St. Francis of Assisi Catholic Church and was a Legion of Mary member and also taught Catichism classes to kids making their Conformation. Dolores was very devoted to our Blessed Virgin Mary and our Father God. Dolores taught us to be true to our faith. The family that prays together stays together. Dolores is survived by her six children Vicky Gonzalez (John) Cathy Myers (Tom) Roberta Espinoza (Jose) Teresa Ramirez (Jorge) Steve Maynard (Pitsie) Mary Sandoval (Jose) she also leaves behind 27 grandchildren 56 great grandchildren and 2 great-great grandchildren. whiched she loved so much. she is also survived by her 5 siblings Eddie Vega, Lupe Ramirez, Jessie Olivarez, Tony Vega and Becky Pillado. On December 10, 2016 she was joined in Heaven with husband Travis Maynard and her three grandson's Michael Rodriguez, Jorge Ramirez and Lonnie Gabriel along side them her Beautiful sister Connie Alvarez who she missed dearly and her parents. A rosary will be on held on Tuesday, December 20 ,2016 at 7:00pm at St. Francis of the Assisi Catholic Church 1045 W. Ventura Street in Fillmore, A Mass of Christian Burial will be held on Wednesday, December 21, 2016 at 11:00am. at St. Francis of the Assisi Catholic Church. Committal and Interment will follow at Bardsdale Cemetery. 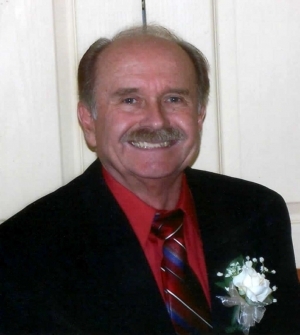 Charles Dennis “Denny” Allred, 69, of Fillmore, CA, passed away surrounded by his adoring family on Thursday, November 17,, 2016, after a series of health challenges. Denny was born in Santa Paula, CA on March 25, 1947. He graduated from Fillmore High School in 1965, followed by AA and Bachelor of Science degrees in Engineering Management. Denny was drafted during the Vietnam War while attending college and the Army utilized his drafting skills in Fort Lewis, Washington. 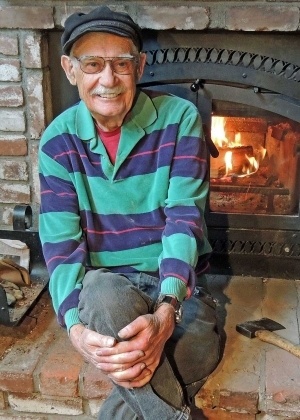 He spent his entire career of 42 years working for the Department of Defense at Port Hueneme. Denny never met a stranger. He was a gifted storyteller and loved his family dearly. He loved God and his Fillmore Church of Christ family, where he faithfully led songs for nearly 40 years. Denny is survived by his wife, Jeanie; son, Chad Allred and his wife Kelly of Colorado; daughter, Alissa and her husband Chris Thompson of Fillmore, CA; grandchildren, Dennis Allred, Brooke McKeever, Ruby and Bridger Thompson. He is also survived by brother, James Allred and his wife Audrey of Springville, CA; cousin, Robert Allen Linville and Olivia of Ventura, CA, Jeff Linville and Family of Texas; nephew, Blake Allred and his wife Melissa, nephew, Christopher Allred, and great-niece Savina Allred, all of Fillmore, CA. Denny was preceded in death by his parents, Charles and Treva Allred, and niece, Whitney Allred of Fillmore, CA. A celebration of Denny's life will be held on Saturday, December 10, 2016, 2:00P.M., at the Ted Mayr Funeral Home, 3150 Loma Vista Road, in Ventura, with Andy Wall, of Conejo Valley Church of Christ, will be officiating. JW (Scottie), 82, Beloved Father, Grandfather, and Uncle passed away after a brief illness. 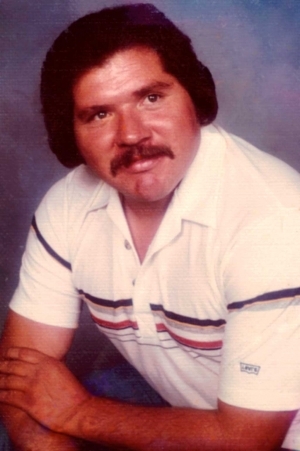 JW served in the Navy, was an avid sports fan, loved cooking, and keeping his yard in immaculate condition. He spent most of his time with his brother, LD Scott. They loved going to Chumash and to Edgewater Casino in Laughlin, NV. The “Brothers” were inseparable. JW was a longtime resident of Fillmore CA. and was born in Arkansas. JW is survived by his daughter, Shelley Ragatz of Fillmore CA., Grandchildren, Chad Gray of Henderson NV, and Amanda Ragatz of Camarillo CA., Great Grandchildren, Kayden Gray and Aubrey Lopez as well many nieces and nephews. He is preceded in death by parents James and Essie Scott, Brothers, LD and Alvin, Sisters, Kathryn Sue, Mildred, and Vera Mae. There will be no services honoring his wishes. Gay Louise Lewis Newman was born on September 1, 1945, to Luceal Harriet McGregor Lewis and Leland William Lewis, at Santa Paula Memorial Hospital. She passed away peacefully, on November 3, 2016. Funeral Services will be held at 10:00 a.m., on Thursday, November 10th, at the Bardsdale United Methodist Church in Fillmore. There will be a viewing held, for friends and family, beforehand at the Church. After the services, she will then be laid to rest at Bardsdale Cemetery, beside her beloved parents Leland and Luceal. The second of two children, Gay graduated from Fillmore High School in the class of 1964, where she played clarinet in the band. She attended Ventura College, earning a degree in bookkeeping. Afterwards, she worked in civil service at Port Hueneme Naval Base until she married. She later moved to Owosso, Michigan, and had two children – Mark Leland and Kristy Anne. Gay and her family returned to Santa Paula in 1992, where she was employed by the Sears Roebuck Corporation, working in customer service. Afterwards, Gay went on to work as a Client Benefits Specialist for the Ventura County Human Services Agency. She later retired from the County, after 20 years of dedicated and caring service to the public. Upon her retirement, Gay devoted herself to spending time with family and friends, volunteering for activities with the Church and in the local community. Gay is preceded in death by her parents Leland and Luceal Lewis. She is survived by her brother Gilbert Lewis from Sheridan, MT, her son, Mark from Santa Paula, and her daughter, Kristy from Santa Clarita. She is also survived by 7 grandchildren. In lieu of flowers, the family asks that donations please be made to either the Bardsdale United Methodist Church, 1498 Bardsdale Avenue, Fillmore, California 93105, or, the Fillmore High School Alumni Association, P.O. Box 385, Fillmore, California 93015. Our dear Angelus Oaks resident, Wendell R Young, age 91 and a half (he would want you to know), passed away here at home late Thursday, Oct 13, 2016. He lived in Angelus Oaks for 25 years. After Pneumonia last December, he struggled with Congestive Heart Failure. Despite the many challenges, he never lost his humor and his goal was always to make someone laugh. He was a social guy, positive, a punster, and simply loved his friends. One could not forget that big smile when he greeted one. 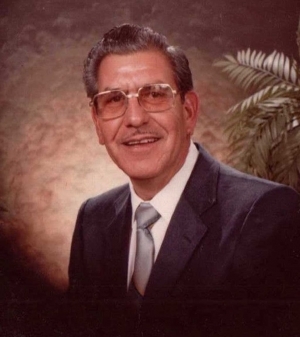 Wendell was born January 23rd, 1925 in Santa Paula, CA, the son of Clarence R and Elsie (Haase) Young. He grew up in Bardsdale, a rural unincorporated community in Ventura County with the closest town being Fillmore off #126. The citrus of Sunkist Growers in Bardsdale is sold throughout the country and around the world. Though growing up on an orange farm, his father, Clarence, worked for the Bank of Italy in Fillmore which became the Bank of America. Clarence Young was Manager for this bank for over 40 years. After graduating from Fillmore High School in 1942, Wendell was drafted in June 1943, at 18 years, into the Army Air Corps, Fort Ord, CA. He was honorably discharged in November with a Certified Disability Discharge (CDD) from Scarlet Fever while at Kearns Army Air Base, Utah. With a GI Bill of Right, he attended Fresno State College from 1944-1946, and graduated from UC Berkeley in 1948 with a B.S. degree in Plant Pathology. After working as a Plant Pathologist for San Bernardino County Dept. of Agriculture for 36 years (1949-1985), he retired and self-employed, consulting as a licensed Pest Control Advisor, primarily dealing with plant disease, both ornamental horticulture and commercial agriculture. He kept a hand in identifying nematode species for growers in Imperial Valley and Central California until 2012. His hobbies were “botanizing”, especially with nature plants, trees and shrubs. He traveled throughout the United States, Europe and South America. The Galapagos Islands and Machu Picchu greatly affected him. And on an emotional trip, he traveled to Tarawa in the Gilbert Islands where his High School best friend, Arnold Harrison, from Bardsdale was killed in WWII. Skiing, sailing, singing with the choir at the Congregational Church in Highland, hiking and backpacking in the Sierras of California and San Bernardino Mountains were fond memories. He loved instructing hikers in botanical and zoological aspects of the environment. He played tennis, and when his eyes failed around 2005, he picked up digital photography with local plants and animals and later local birds. He made his own picture frames and enjoyed woodworking in his garage/shop. His love of Classical Music started early with musicians in his family, and always had KUSC on the radio in the background. The LA Sunday crossword puzzle took over a day of the week and he gradually went to Sudoku. In 1985, Wendell met his wife Therese Voelker in Santa Paula, CA. where she was working at a Soil and Nematode business. They moved to Angelus Oaks in 1991 and continued their business together until 2012, identifying nematode species for the Farmers in California. After 20 years of partnership, they married officially on May 23rd. 2005. Wendell leaves his wife, Therese, and son Jeff (Kim), son Barry (Janean), Daughter-in-Law Chere, wife of son Scott, Stepdaughters Cindy and Jane (Rick Lazar), along with 7 Grandchildren and 4 Great Grandchildren. His sister, Garland (Ferrell), will be 94 in November 2016, and lives in Salinas. Preceding his death, Wendell lost his son Scott, to Lymphoma and Non-Hodgkin Disease in 2015 at the age of 58. His wife, Pat, mother of his sons, and wife, Joyce, mother of his stepdaughters have also passed. Vernon E. Arnold, 86, of Fillmore, California, died peacefully following a long illness on October 15, 2016, attended to by family members and loved ones. Vern was preceded in death by his parents, Elton and Esther (Schmid) Arnold, and brothers (in order of passing) Dale, Earle, Donald, Roy, and Merle. Roy, and Merle. He is survived by his loving wife of 53 years, Mary Joanne (Paul) Arnold; sons Matthew, Christopher, and Frederick Arnold; daughters-in-law Susan, Noreen, and Stephanie Arnold; grandchildren Noah (and his wife Chrissy), Ethan, Joseph, Brian, Jackson, and Justin; great-grandchildren Aubrey and Brody; sister Mae Curie; sisters-in-law Luella Arnold, Lois Arnold, and Luisella Bovio Arnold; and numerous cherished nieces, nephews, and cousins. Vern was born in Akron, Ohio on January 28, 1930, and shortly thereafter his family moved to Orrville, Ohio. Vern’s legacy of compassion, empathy and strength of character was forged from early in his youth by the loss of his father, life in depression-era small town America, and then seeing all of five of his older brothers leave home to serve in World War II, including brother Dale who did not return. During his youth in Orrville, Vern loved the outdoors and sports, as he became an Eagle Scout, and played football, baseball and ran track in high school. 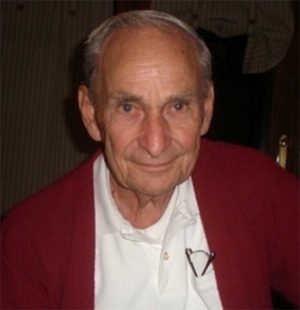 Vern was always a tinkerer with radios and other gadgets, and graduated with a bachelor’s degree in electrical engineering from The Ohio State University in 1955. Later as a young father, he earned a master’s in aerospace engineering from the University of Southern California in 1967. Vern served in the U.S. Army for two years concluding in 1957, and after various jobs in different parts of the country, he began a long career as an engineer with the Lockheed Aircraft company in 1960. Vern and Joanne were married in 1963 and lived in Granada Hills, California until 1972, when they moved to Fillmore, California with their three boys. During the 1970s he spent many Saturdays as the volunteer lead for newspaper recycling drives, which raised money for various charities, and in the early 1980s his coaching of youth soccer for his sons led to him to join an adult soccer league as a player himself, with soccer remaining a passion thereafter. After retirement forom Lockheed in 1990, Vern did occasional consulting work, traveled overseas and around the country, taking long driving trips, and otherwise with Joanne spent cherished years in the role of grandparents, complimented by Vern’s hobbies of photography, and computers, Spanish, and a monthly family birthday calendar. In lieu of flowers, memorial donations may be made to the Alzheimer’s Association, website alz.org. A visitation and viewing will be held on Thursday, Oct. 20 from 4pm to 8pm at the Skillin-Carroll Mortuary, 600 Central Avenue in Fillmore. On Friday Oct. 21, at St. Francis of Assisi Church at 1048 W. Ventura St, in Fillmore, a Rosary recitation will begin at 9am, followed by a funeral mass at 9:30am. Burial will follow at Bardsdale Cemetery. Nicolas Perez Robles passed away peacefully on Sunday, October 9, 2016, at the age of 90. 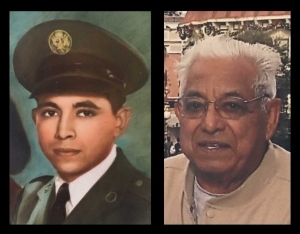 He was born on September 9, 1926, on Rancho Sespe to Gregorio and Marina Robles, who originally came from Zacatecas, Mexico, in 1919. Nicolas was the youngest of their four surviving children. His parents returned to Mexico with Nicolas during his younger years and lived on his uncle's cattle ranch, where Nicolas worked as a butcher. Upon his return to the United States, he lived and worked in various positions on Rancho Sespe, including truck driver, field foreman, and laboratory technician, up until its sale in 1979. He married Esther Ramirez in 1949 and had three children, Hortencia, Nick Jr., and Dolores Suzanne. After the Ranch sale, he and his wife built a home in Fillmore. He worked for PPG Industries in Valencia, and subsequently for the Fillmore-Piru Citrus Association until his retirement in 1991. He is survived by his daughter Hortencia Parker and husband Jefferey Parker, his son Nick Jr and wife Joyce, and his youngest daughter Dolores Suzanne Butler and husband Russell. 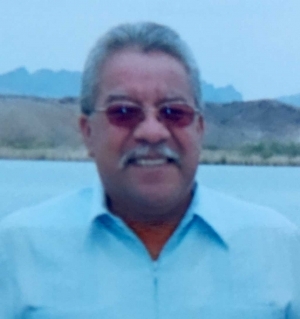 His grandchildren include Tracilyn Robles Arteaga (deceased), Bryan Parker and wife Tara, Jessica Parker Reed, Amanda Parker and husband Josh Pillado, Jennifer Robles Polonco and husband Marcus, Samuel Butler and wife Sarah, Veronica Robles, and David Nicolas Robles and wife Kacey. He is also survived by his 12 great-grandchildren: Austin, Bailey, and Parker Reed, Janessa and Cinese Polonco, Kai Arteaga, Colby Stafford, Jordan and Bryan Pillado, Madison and Isaac Butler, and Reese Robles. A viewing will be held on Friday, October 21, 2016, from 5 to 8 pm at the Skillin Carroll Funeral Home, located at 600 Central Avenue in Fillmore, CA 93015. The Rosary will be held at 7 pm. A mass will be heard at 11 am on Saturday, October 22, 2016, at St. Sebastian's Catholic Church at 235 N Ninth Street in Santa Paula, with internment immediately to following at the Santa Paula Cemetery. 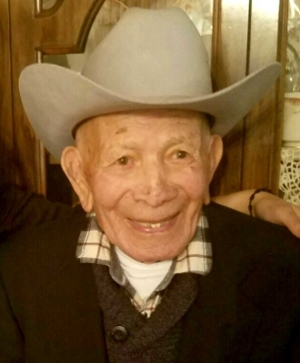 Eliceo “Izzy” Yzaguirre, 87, of Santa Paula entered into eternal rest peacefully surrounded by the love of his life, Catalina and his devoted family on October 16, 2016. He was born on Flag Day, June 14, 1929 in Colton, California to Mateo and Maria Yzaguirre. He was the oldest of seven children. Dad enjoyed his school age years living at “La Campana”, Hardison Ranch in Fillmore. He graduated from Fillmore High School (Class of 1950) where he was a member of the Future Farmers of America, the Lettermen’s’ Club, Jamboree, and was elected Home Room Chairman. He played basketball, football, ran track and also played the saxophone. Soon after graduation he enlisted in the United States Air Force. He completed his basic training at Lackland Air Force Base in San Antonio, Texas. He then went to Air Police School at Tyndall Air Force Base in Panama City, Florida. After his training in Florida he was transferred to Travis Air Force Base in Fairfield, California, and became a Staff Sergeant in the 1009th Special Weapons Squadron. He was stationed at Hickam Air Force Base at Pearl Harbor in Hawaii. His Military Police unit was appointed to guard the aircraft assigned to Hickam A.F.B. One of the planes his unit was entrusted with was the famed B-29 “Enola Gay” which was stored at Hickam after the war. When Dad returned home from his military service he worked as a ranch hand at Hardison Ranch. He then became a reserve Firefighter with the Fillmore Fire Department which led to his career as a Firefighter with the County of Ventura, Station 27 (formerly known as Station 11). 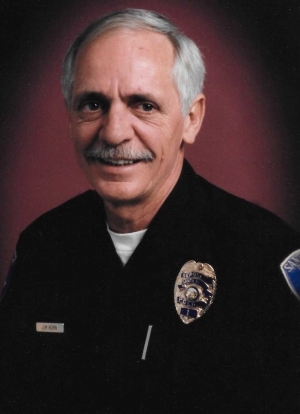 There he served as a Ventura County Firefighter for over 33 years. He regaled us with many anecdotes about his days as a Firefighter. One story that particularly comes to mind was the time he was called to the scene of an accident only to realize that the victims were his brother and sister-in-law. He said that it was difficult, but he had to put his emotions aside and carry out his duties as a Firefighter. Our visits to the fire house to drop off Dad’s dinner were always a treat for us kids. We got to interact with the fire trucks, and play on the sand piles used to fill the sand bags. We never got tired of watching him turn on the firetrucks lights. Due to his long work shifts, there were many nights where he was not able to come home, but he always seemed to find a way to get a message out to the Yzaguirre kids via the scanner. After his retirement, he would sit by his scanner and listen to the calls go out to the Firefighters. He was so passionate about his profession that we would often catch him get ready and grab his keys as if he was still on duty. He served the church as an usher, a handyman, and a volunteer wherever needed. He mentored many members of the community and was a very devout member of the Catholic Faith. In addition to the Church, Dad was a loyal member of the Knights of Columbus, which he joined 1953 while stationed at Travis Air Force Base in Fairfield, California. 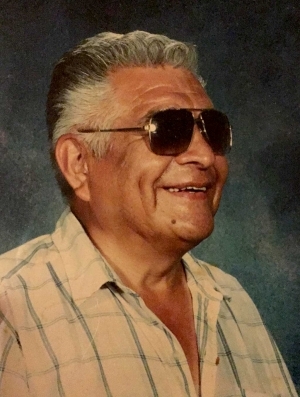 He was a member of the Chief Solano Council 3585, he rejoined the order in Point Arena, San Salvador Council 12400 and later transferred to the Fillmore Council 8800. In 2016, he received the Patriotic Degree with Assembly 82 San Buenaventura. As busy as he was, Dad found time to also complete the highest rank of Eagle Scout with the Boy Scouts of America. He later became a Scout Master for Troop 315 which was sponsored by Our Lady of Guadalupe Church. His sons and many of his nephews who were part of Troop 315 benefited from Dad’s many skills and talents. He was very generous with his time, and was always willing to share his experiences. Dad also made sure that his daughters and nieces were familiar with basic car care and maintenance. He even taught them how to change a tire knowing how important it was to their safety to be self-sufficient. Dad was a caring man with strong family values. He was a true all American selfless person who always put others before himself. He served his Country, Community, and Church faithfully, without the need of recognition. We all attribute our work ethic to his strong sense of purpose. Dad is preceded in death by his daughter, father, mother, sister and brother. He is survived and will be dearly missed by his wife, 10 children, 26 grandchildren and 10 great grandchildren, 3 brothers and one sister. On behalf of our mother and family we wholeheartedly thank you for the prayers, love and support you have all shared during this time. For map and directions to ceremony location and to sign the family's online guestbook, share stories, and post pictures please visit our website: www.santapaulafuneralhome.com and click on Eliceo's name located below "Recent Obituaries". John Harm passed away on October 3, 2016, 5 days after he was diagnosed with liver cancer. He was surrounded by family as he went home to be with the Lord. Anyone that had the pleasure of meeting John Harm was truly blessed. John is now the guardian angel over his wife Barbara, his children; Jodie & RayMel, Russel & Lorraine, Jace & Rebeccah, Tracy & Clark, and Laura; his grandchildren, Travis&Jenny, Amber&Jose, Nicholas&Connie, Justin, Nathaniel, Cassandra&Dan, Matthew, Malorie, Mark, Ashlea&Hector, CJ, and Kristopher; and his great-grandchildren; Ava, Diego, Emma, Micah, Symphony, Josiah, Izaiah, and Dominic. He will also be watching over his siblings; Jim&Jan, Lorinda, and Patty, and all of their children and grandchildren. John's parents James and Lorinda, his brother Bob, and his best friends Stan & Jan all welcomed John home into Heaven. John was born on July 30, 1942 to the parents of James E. and Lorinda Harm. He had 3 siblings; Jim, Bob and Lorinda. He was born in North Dakota and moved to Long Beach before starting school. He graduated from Robert A. Millikan High School, class of 1961. After high school, John served his country in the Army as a firefighter during the Vietnam war. After the military, John found his passion as a firefighter/Paramedic for L.A County where he saved many lives, helped deliver many babies, calmed many during emergencies, found resolutions for those that thought there were no answers, and served others through God's grace with his whole heart. He spent 37 years at station Station 111 in Santa Clarita, CA. John grew very close with his brothers at the station and his crew was later named the “God Squad”. They had a brotherhood that lasted many years and after most retired, the God Squad and other firefighter friends kept in touch by scheduling monthly poker tournaments. John met the love of his life Barbara. It didn't take him long to realize that Barbie (as he called her) was his bride to be. There first date was in December and they were married by February. Soon they relocated to Fillmore, Ca where they purchased their home, which would later be named the Harm Farm. It was easy to see, by the way he looked at her, that he loved her very much and he never complained when she always had them dress in matching outfits. He showed his endless love for her everyday. He treated her with chivalry and always opened her doors, held her hand, kissed her hello and see you later, prayed with her and for her, stood by her side during life's best and most difficult times, and eased her pains to the best of his abilities. John also loved his 5 children, 13 grandchildren, and 8 great grandchildren whole heartedly. He was their shepherd and protector. He shared beautiful memories over the years of swimming in the pool, playing in the creek, watching countless movies, relaxing in the hammocks, playing cards with his best friends Stan and Jan ,going to literally hundreds of birthday parties, celebrating life achievements such as graduations, promotions, marriages, and being present for the births of all of his grandchildren and great grandchildren, and so many more special times. He always put his family first and his family could always count on him unconditionally. When John and Barbara purchased the Harm Farm, they knew it was a fixer-upper. Even though the farm required plenty of hard work and labor over the years, the farm was his place of refuge. He found it therapeutic to work on the land and while doing so, he created an atmosphere full of joy and peace for others that came to visit. John and Barbara welcomed many family, friends, church members, and even strangers to their home over the years. After visiting the Harm Farm you would feel a huge weight lifted off your shoulders, rejuvenated, and ready for life. John was a great listener and had life's wisdom to share. John had an undeniable strong work ethic and a servants heart, which is why many called on him when they were in need. He was always the first to arrive and he stayed until the job was complete. Somehow, he always had materials that were needed that you didn't think of until he was there. There was never a problem he couldn't fix and never a question he didn't have a response to, yet he always remained so humble. He was very active in the Fillmore Foursquare Church. He became very close with the pastor and many of the members. The Harm Farm was always open to host activities for the church gatherings. John and Barbara were also on the citizen's patrol. They volunteered for over ten years for the City of Fillmore and enjoyed helping out the community. John had an appetite for life and a pretty healthy appetite as well. He wasn't a picky eater and he often told the story of how he'd throw things together that he found in the cabinets and create burritos. Everything tasted good in a tortilla to him. John loved the holidays and all of the memories that were created with his family. He will be missed as the referee for the dice game during Christmas, cutting the turkey for Thanksgiving, lighting the fireworks on the 4th of July, and bringing cut up watermelon and his yummy guacamole to potlucks. Not only will we miss him for the holidays, but we will miss everyday with every breathe we take. He was a loving, joyful, hard-working, humble, respectful, wise, caring, genuine, supportive, family man that loved the Lord with all of his heart and a great example for others to follow. This world will never be the same without him. A celebration of life will be held on Saturday, October 22 at 11am at Faith Community Church, 461 Central Avenue, Fillmore, CA. Following the services, lunch will be served and everyone is encouraged to share their memories of John with the family. Grandpa, I love you more. Josephine Alcantar, 93, passed away on September 23rd 2016, at her home. She was preceded by her father Lucio Molina and mother Lucia Molina, her sister Helen Rodriguez and great grandson Justin Torres. She was also preceded by her husband Julio B. Alcantar. They shared over 50 years of marriage. Josephine was born in Piru California, February 7th, 1923. 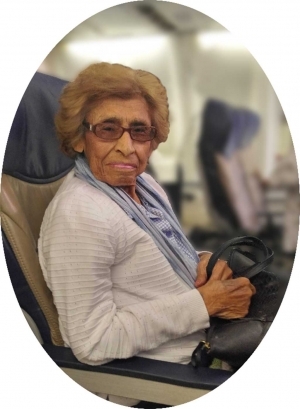 She is survived by five children, fourteen grand children, 23 great grandchildren, one great great granddaughter and her sister Margaret Perez and numerous nieces and nephews. She was a member of the Piru Catholic Church. For many years she worked at the Piru Packing House. she was generosity, she was fun and funny, as evidenced by how she was surrounded by family and friends. You couldn't enter her home without her immediately following up the hellos with go eat, go eat, and offering you some of her famous papas with some of her even more famous chili. She liked camping and loved road trips and being the co-pilot. She loved birthday trips to Vegas. She especially enjoyed the Dodgers in person and on TV. Family was paramount to her. She raised and baby sat many if not most of her grandchildren while their parents had to work. When any of her adult children or grandchildren was sick Grandma was first on the scene. She would often crochet blankets for her grandchildren despite arthritis. Grandma was a lover of pets including cats, dogs, fish and birds, especially her beloved Chico and Rocky who would cuddle with her. Always ready for adventure, loved to laugh and have fun. She touched so many life's, and did so in ways that may not always have been fully apprehended at the time, but never the less she did it so very well. She has in fact managed to so confer her special kind of love on all of us to such an extent that we are left feeling robbed as if a thief in the night stole something most precious. We call life a gift “the gift of life” so naturally when death takes a loved one away we feel robbed. Perhaps “ a new lease on life “ this is better way to regard our loss. Our heavenly Father only leases us our time here on earth before bringing us home to a fuller glory. Even so we feel a profound sense of loss, and aching. Being created in God's image, at our core we do not understand death as anything real, because in the heavenly realms and our redeemed futures there is no death, no sin, not even the the possibilities of such things. Right now that is where our beloved Mom / Grandma / Grandma Grandma/ Great Grandma / Great Great Grandma is. She is in the presence of our Lord Jesus. In these heavenly realms and in this we can and should rejoice. Even with all of this we will no doubt continue to struggle with our grief and this a testament to who Josephine “Grandma” Alcantar was and continues to be in hearts. We love you Grandma!!!! The family wishes to thank all of our family and friends for their prayers and condolences. A visitation will be held on Saturday, October 1st 2016 at 12:00pm with a rosary at 12:30pm followed with a Mass of Christian Burial at 1:00pm at San Salvador Catholic Church in Piru, CA. Interment will follow at Piru Cemetery in Piru, CA. For map and directions to ceremony locations and to sign the family’s online guestbook, share stories and post pictures please visit our website: www.garciamortuaryoxnard.com and click on Josephine’s name located below “Recent Obituaries”. After the funeral the family will be celebrating the life of Josephine Alcantar at a Reception at Piru Catholic Church Patio area. Emma Jean Hill was born on February 13, 1926 in Lavaca, Arkansas to Ira and Dovie Hobbs. Emma married John Hill in 1942 in Arkansas and moved to Fillmore, California where they built their life together for seventy three years. Emma who answered mostly to her middle name "Jean" passed away Sunday, September 18, 2016. Emma was preceded in death by her husband John and daughter Ruby Jean Boblett and three grand-daughters Misty Hill, Karen Sue Webb, Michelle Bishop and a grandson Robert Boblett. She was also proceeded in death by both her parents Ira and Dovie Hobbs. Emma Hill worked as a Lead Lady for Bermite Powder Company (an ammunition company) in Saugus, California for thirteen years. She also worked as a cook in Santa Paula and Bakersfield Rest Homes, and she worked as a private care giver before she retired. Emma is survived by six children: Emma Sue Webb and her husband James of Bardsdale, Mary Pohl and her husband Mark of Fillmore-Bakersfield, William Ray Hill and Lejean Hill of Fillmore, John Wesley Hill, Jr. and Glenda of Charleston, Arkansas, James David Hill and Chyrel Hill of Fillmore, Albert Hill of Fillmore, and Stanley Boblett of Lebanon, Tennessee. Emma had 19 Grand-children, 33 Great-Grandchildren, and 10 Great-Great Grand-children. Emma is also survived by three sisters: Pauline Hale of Ozark, Arkansas, Nola Watson of Lavaca, Arkansas, Louise Valvano of Ozark, Arkansas and Betty Hobbs of Fort Smith, Arkansas. She is also survived by one brother: Buddy Robinson of Arkansas. Emma is also survived by two sister in-laws: Thelma Hill of Alma, Arkansas and Marina Exine Walker of Pawhuska, Oklahoma, and one brother in law Lewis Clayton Hill of Victorville, California and numerous friends and neighbors. 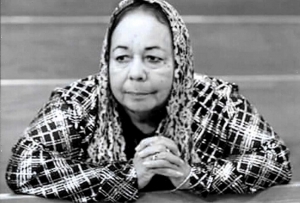 Emma Jean Hill had an INCREDIBLE PASSION FOR LIFE. She is a member of the Church of God -Chapel of Praise in Santa Paula, California. She fought a good fight to live and she will be dearly missed. Services for Emma Jean Hill will be Held Friday September 23, 2016 at Skillin-Carroll Mortuary, 600 North Central Avenue, Fillmore, California, 93015. Visitation will be held from 8:30am-12:30pm with Memorial Service at 11:00am. Burial will follow at Bardsdale Cemetery, 1698 South Sespe Street, Fillmore, California, 93015. Officiating the Service will be Dr. Emma Sue Webb.